Klemen Strmšnik shares his enthusiasm for Ljubljana’s (SLO) green endeavours and the on going success of the BeePathNet project linking 6 European cities seeking to promote urban beekeeping. He asks: if the awareness and enthusiasm are already there, can urban beekeeping become integral to an urban lifestyle? Due to intense urbanization and economic growth, European cities are facing increasing pollution, as well as the loss of natural resources and a decrease of biodiversity while citizens’ living conditions worsen, losing the all important bond with nature. Combined with the heavy use of pesticides and insecticides, the numbers of bees and other wild pollinators are dramatically decreasing. Unfortunately, we seem to forget that they provide one of the most important ecosystem services for the food production cycle: pollination. On the other hand, awareness about importance of locally and ecologically produced food is on the rise. People are increasingly following “healthy living principles” and are actively seeking better living conditions with rising numbers interested in growing their own food –on balconies, gardens or roof-tops. In Ljubljana – the capital of Slovenia 290,000 citizens and over 180 million bees not only co-exist but also thrive. Three-quarters of its entire territory are covered by native forests, meadows, and fields, 20% of which are designated natural protected areas. 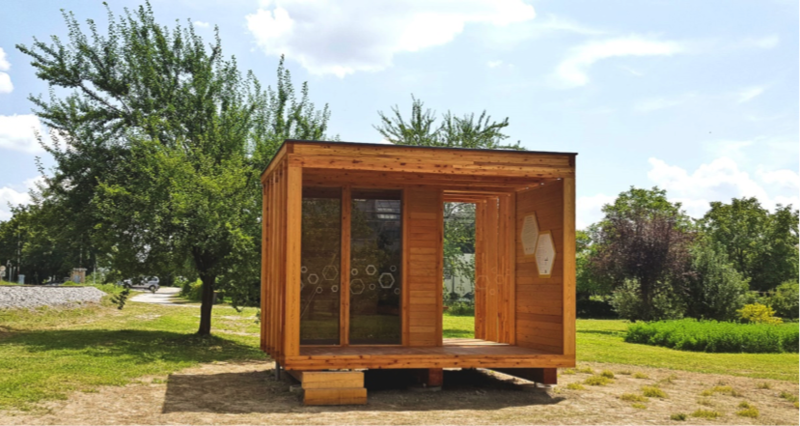 In Ljubljana over 800 farms and 350 beekeepers operate, keeping the connection between urban and rural very much alive. In recent years the efforts to improve the living conditions in urban areas were recognized and Ljubljana won several important awards – including being part of ‘The Global Top 100 Sustainable Destinations’ in 2017, the ‘Friendliest Municipality to bees’ in 2017 and the ‘Green Capital of Europe’ in 2016. Sounds impressive, right? However, in order to understand the success of its’ “green urban development policy”, we have to look back in Ljubljana’s recent urban development history. With high-quality living conditions in the hinterland of the city, sub-urbanism was very strong in 80’s and 90’s. As more and more young families moved to suburbs, the city centre and older neighbourhoods inevitably “aged”, slowly deteriorating and in some cases even degrading. But just like in nature, “the old” had to make room for “the new” and Ljubljana entered the new millennium ready for an urban revival. In search of new development concepts, city administration and decision makers recognized the “green character” of Ljubljana as an advantage and an opportunity. Citizens quickly responded supporting the idea. A key development policy, thanks to the implementation of a new sustainable strategy: “Vision 2050” with a new Spatial Plan, the City of Ljubljana successfully achieved its urban renewal. Proof of its success came in 2014 when Ljubljana won the title of “the Green Capital of Europe 2016”. This was a clear signal for both, citizens and the City of Ljubljana that they were on the right track. It also provided a supportive and nurturing environment for bolder green urban development ideas and projects. In the following years, the City of Ljubljana encouraged and supported new urban concepts including urban gardening, urban forestry, and urban beekeeping. 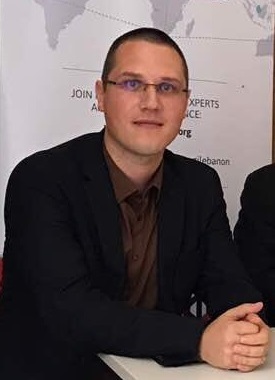 In 2015, an employee of the City of Ljubljana, Maruška Markovčič, now the URBACT Local Group Coordinator for the BeePathNet project, introduced the idea of urban beekeeping. She says: “BEE PATH was supposed to be just a small project supporting urban beekeepers and exploring new tourism potentials in Ljubljana. I never expected it to evolve to this level!” But it did and today BEE PATH became the synonym for all activities linked to bees and beekeeping in Ljubljana. A NETWORK of partners interested in urban beekeeping – providing a platform for discussion on challenges, searching for solutions and development of new products on a voluntary basis. A TOURISTIC AND EDUCATIONAL PATH designed to connect urban beekeepers and other bee-related points of interest, thus presenting the importance of bees and urban beekeeping to visitors. AN EDUCATIONAL PROGRAMME devoted to raising awareness amongst target audiences. A “THINK-TANK” AND AN “INCUBATOR" for development of new entrepreneurship ideas. But such attempts can never be successful if they are developed top-down. Thus, a bottom-up voluntary approach was used: “We started as a small circle of beekeepers, but we always remained open to all interested parties. In time the network grew and today involves educational and cultural institutions, NGOs, entrepreneurs, companies and my other stakeholders. It was not easy, but it was the right way to do it!” she quickly adds. 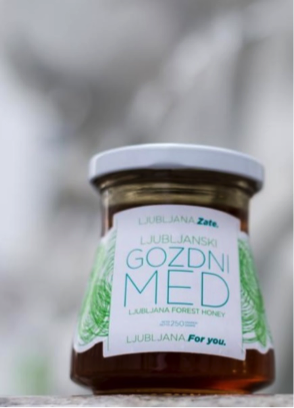 One could argue that Ljubljana has favourable natural conditions: an uncharacteristically high percentage of green areas and a long tradition of beekeeping. However, the author of this article is also convinced that such favourable conditions exist in many other cities around Europe. Unfortunately, they are still not recognized for their development potential – and this is exactly what the BeePathNet project is all about. Aiming to replicate their success and transfer good practice, BeePathNet partnership now links 6 EU Cities – Ljubljana as the lead partner, Cesena (IT) and Bydgoszcz (POL) as 1st phase partner, Amarante (POR), XII. District of Budapest (HU) and Nea Propontida (GRE) as 2nd phase partners.These partnerships allows the BeePathNet project to cover the majority of climate conditions for beekeeping in EU (Atlantic, Continental, Mediterranean, Alpine), as well as to take into account cultural and social differences between cities. Natural and cultural differences between cities are already starting to emerge, adding to the challenges of the transfer process! Establishing and supporting URBACT local groups in all 5 partner cities – transferring all-inclusive voluntary, bottom-up and proactive approaches with the aim to find synergies. Creating favourable conditions for urban beekeeping – raising awareness of target audiences about the importance of bees and wild pollinators, reducing the “fear factor” of citizens, as well as overcoming formal and informal obstacles to urban beekeeping in all partner cities. Developing “bee-paths” as new educational and tourism products in individual cities, as well as platforms for promoting urban beekeepers and a diverse array of bee by-products. Ensuring long term sustainability for urban beekeeping through development of mid/long-term development plans in individual cities. Urban beekeeping, in its broader context, gives BeePathNet partners and other European cities numerous possibilities for further development of the BEE PATH concept. This is best proved by the fact that BEE PATH is by no means a “finished project”, but rather a “work in progress” – growing and evolving on a daily basis. Understanding this passion for bee keeping itself is crucial for the successful transfer of the project’s good practice. I can hardly wait to see how the BEE PATH concept will be transferred and modified to “fit the shoe” of other partner cities or how it will further evolve in this new URBACT environment. Are you ready to be surprised?